Source: FMI U.S. Grocery Shopper Trends, 2018; U.S. Bureau of Labor Statistics, CEX, calculations by The Hartman Group. Estimates labeled to reflect year of publication, based on data collected at beginning of year or during prior year. Backing up that statement with data culled from the trends report, Fikes noted that grocery spending and shopping trips remain steady in 2018, with shoppers spending an average of $109 per week. That figure is consistent with the last few years, showing relative stability in overall levels of household food and grocery spending despite blurry lines between channels (including online), unexpected mergers and acquisitions and new solutions such as meal kits. According to the study, the average shopper reports that in addition to the 1.6 trips a week he or she makes to the grocery store, other household members take another 0.6, implying that the total number of trips per household each week is about 2.2. On the fresh side of things, David Feit, vice president, Strategic Insights, The Hartman Group, noted that food retailers are well positioned in health and wellness, as grocery stores have become increasingly important as an ally in eating healthy. Fifty-five percent of respondents said that their primary store was “on their side when it comes to helping them stay healthy,” compared to 45% a year ago. Overall, 41% say that food stores in general are “on their side,” compared to 33% a year ago. “Fresh categories are the most important feature of the store,” said Feit, noting that in addition to high-quality produce and meat, customers are seeking out “careful curation of products that lead to meaningful store experiences,” such as an in-store cheese shop or olive bar. • Communication and commitments by the retailer to provide additional information and context around product selection. 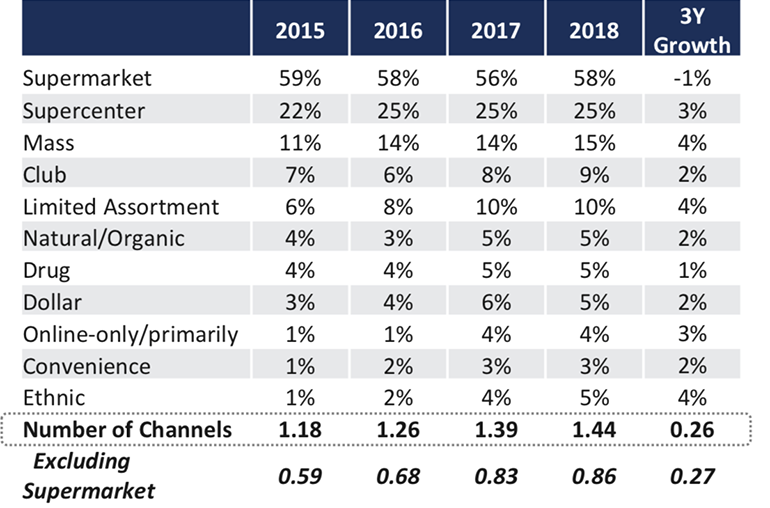 Shoppers expect more from brick-and-mortar stores in terms of freshness, selection and price/value and more from online retail in the area of access to information, but overall they hold both brick and mortar and online retail to similar standards. But for all of the interest and value that online shopping provides, brick-and-mortar stores are still seen as delivering more strongly across all areas of shopper expectations, in particular freshness, price/value, personal engagement, returns and rewards programs. That said, online retail is becoming competitive, perceived to be doing at least as well as brick and mortar in terms of breadth of product selection, convenience, business practices, access to product information and discovery.